1. This Invitation for Tenders follows the General Procurement Notice for this Project which appeared in the Daily News newspaper dated 24th July 2018. 2. The Government of the United Republic of Tanzania through The Ministry of Health, Community Development, Gender, Elderly and Children has set aside funds for the operation of the Medical Stores Department during the financial year 2018-2019. It is intended that part of the proceeds of the fund will be used to cover eligible payment under the contract for the Supply of Pharmaceuticals from Manufacturers Using Framework Contract. 3. The Medical Stores Department Tender board on behalf of Ministry of Health, Community Development, Gender, Elderly and Children now invites sealed tenders from eligible Pharmaceutical Manufacturers for carrying out the Supply of Pharmaceuticals under Framework Contract. 4. Tendering will be conducted through the International competitive bidding procedures specified in the Procurement Regulations, 2013 – Government Notice No. 446 and is open to all Tenderers as defined in the Regulations. 5. Interested eligible Bidders may obtain further information from and inspect the Tendering Documents at the office of the Secretary, Medical Stores Department Tender Board, Off Nyerere Road, Keko Mwanga, P.O. Box 9081 Dar es Salaam, Tanzania from Thursday 25th October 2018 from 8.00 a.m to 3.30 p.m on Mondays to Thursdays inclusive except on public holidays. 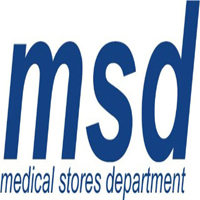 Alternatively the interested Tenderers may view the tender document in the Medical Stores Department website (www.msd.go.tz) and PPRA website. 6. A complete set of Tendering Document(s) in English and additional sets may be purchased by the interested Tenderers on submission of a written application letter to the address given in paragraph 5 and upon payment of a non-refundable fee of US Dollar 50 equivalent to TZS 100,000.00. Payment should either be by Banker’s Draft, Banker’s Cheque, or through bank transfer (Extra charges of US Dollar 25 as a bank transfer charges should be added in the fee) payable to Director General Medical Stores Department, Off Nyerere road, Keko Mwanga, P.O. Box 9081, Dar es Salaam, Tanzania. The following bank details should be used. 7. All tenders must be accompanied with Tender securing declaration in the format provided in the Tender document. 8. All tenders in one original plus “ONE COPY”, and a soft copy (compulsory) of the price schedule properly filled in the format provided, and enclosed in plain envelopes must be delivered to the address below at or before 10.00 Friday 16th November 2018. Envelopes shall bear the words: ‘‘IFT NO IE-009/2018/2019/HQ/G/03: DO NOT OPEN BEFORE FRIDAY 16TH NOVEMBER 2018 AT 10.00 HOURS LOCAL TIME”. Tenders will be opened promptly in public and in the presence of Tenderers’ representatives who choose to attend in the opening at the Medical Stores Department Board Room, Off Nyerere Road, Keko Mwanga, P.O. Box 9081 Dar es Salaam, Tanzania. 9. Late Tenders, portion of Tenders, Electronic Tenders, Tenders not received, Tenders not Opened in and not readout in public at the Tender opening ceremony shall not be accepted for evaluation irrespective of the circumstances.